November 15 was National Philanthropy Day! 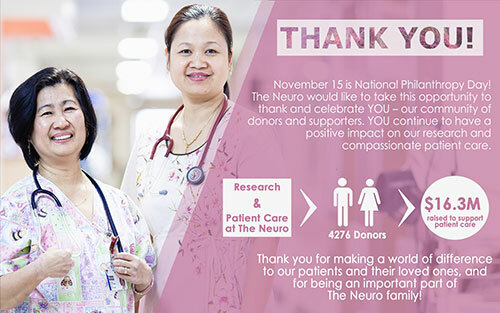 The Neuro would like to take this opportunity to thank and celebrate you – our community of donors and supporters. You continue to have a positive impact on our research and compassionate patient care. During our 2016-2017 fiscal year, 4276 donors raised $16.3 M for research and patient care at The Neuro! Thank you for making a world of difference to our patients and their loved ones and for being an important part of The Neuro family! 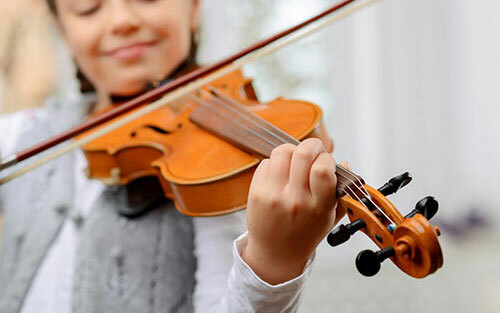 Researchers from The Neuro have proven it is possible to increase or decrease our enjoyment of music, and our craving for more of it, by enhancement or disruption of certain brain circuits. The Neuro was delighted to welcome representatives from Vigilant – a DRW Company on Monday, November 6, for an informative and interactive tour, and to unveil a plaque in their honour which was installed within the Cone Laboratory for Neurosurgical Research. As long-time friends and supporters of The Neuro, Vigilant has been instrumental to the creation of the world’s first chemical brain atlas, being developed by Dr. Abbas Sadikot and his team at the Cone Lab. Many thanks to Vigilant for their continued support of The Neuro. New Neuro Giving Website Launched! Visit the new Neuro Giving website to learn about how The Neuro’s community of supporters enhances the lives of people living with a neurological condition, and how community funds help drive research into enhanced treatments – and even cures – for neurological disease. 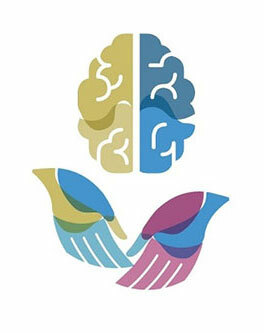 We welcome your feedback and hope you will check the website often for news and information about The Neuro family, events, research successes and more!